Cape Cod with a white picket fence & brick pathway, how much more charm could you ask for? 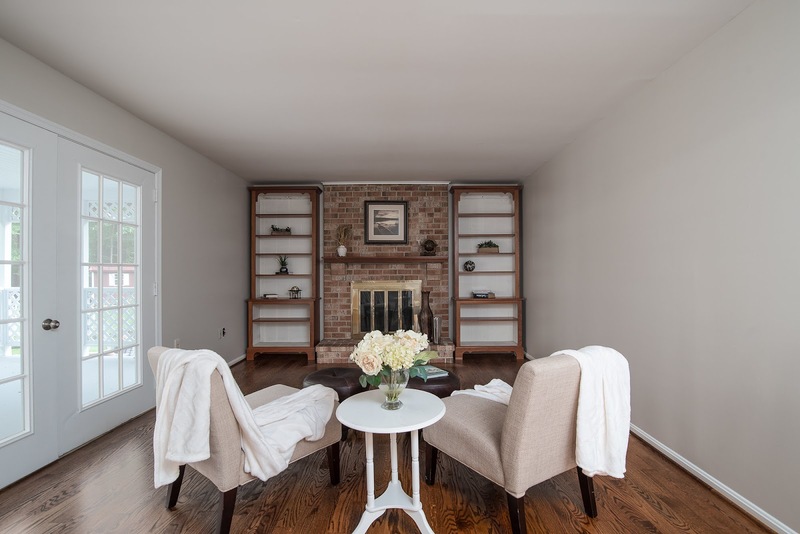 This home is spacious, yet cozy and feels fresh & clean with the abundance of recent renovations! All NEW Kitchen! Remodeled baths! NEW: wood floors, carpet, & paint! Finished walkout bsmt. 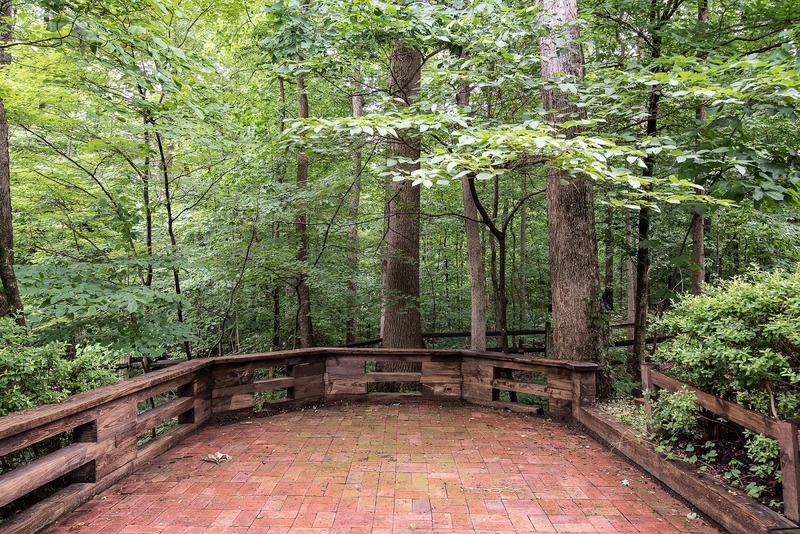 Relax & enjoy the view into the forest from the screened-in deck, brick patio, or fenced yard. So much character! There is so much to do in the area including: going to parks (there are SO many parks in the area), museums and historical homes, malls, movies, and it is close proximity to D.C. and the mountains. These days there are local waterparks (part of the NOVA parks), all kinds of indoor activity places for kids, and fun playgrounds like Clemyjontri Park. It is also nice walking around Old Town Alexandria, Fairfax City, National Harbor, and D.C. It is a great place to live to experience all kinds of theater, concerts, and art. The neighborhood is also great. There is never a shortage of kids to play with and grow up with. It is a great neighborhood to walk in; quiet and away from any busy traffic. Being able to walk to school, elementary through high school was nice while growing up. I did ride the bus for middle school and high school but I had the convenience of walking home if I stayed for after school activities. 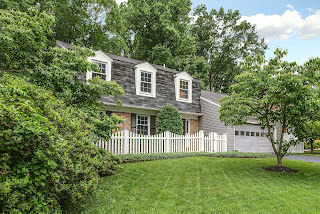 It is easy access to 95, 395, and 495, Metro, and VRE for commuting. The neighborhood events for the neighbors to socialize and meet new neighbors is also great. I love the home for many reasons. Sitting on the porch reading on nice weather days is very relaxing. The home backs up to a forest which makes it easy to watch the seasons change. 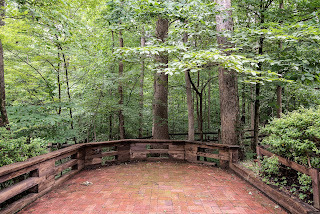 It is close to the path in the forest which leads to Hidden Pond Nature Center and Park. I spent many summers meeting friends there and spending time in the woods and the nature center. The fact I could walk there made it so convenient. It is also nice having a fenced-in back yard for pets or kids. The home is spacious but also cozy. I love how new, fresh, and clean the house feels. The house feels like someone could move in and not have to change a thing right away. The house is perfect just the way it is but it has potential for adjustments to personal tastes at the same time. In the last few months many improvements have been made. 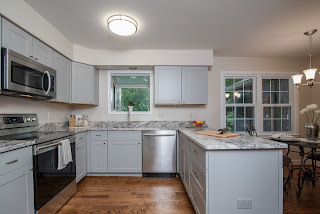 A remodeled kitchen including new cabinets, countertops and appliances was completed. 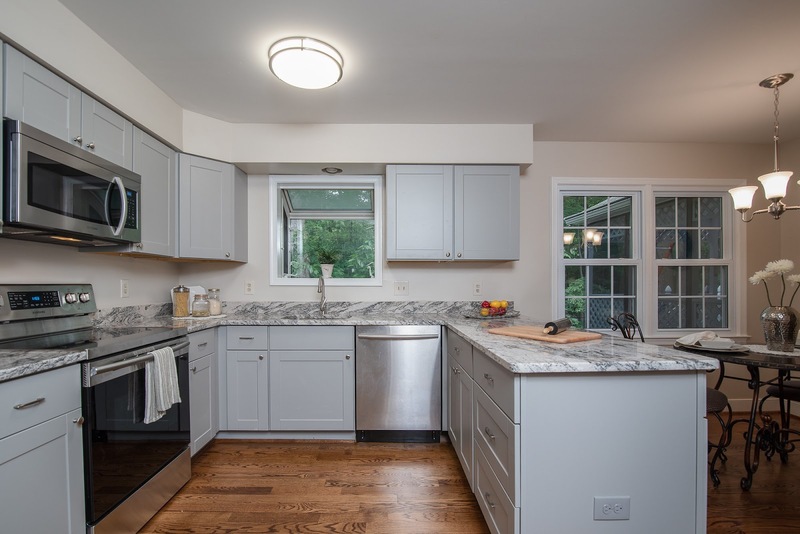 A remodeled bathroom has also been done including new cabinets, floors, tiles, sinks, toilets, fixtures and shower. The entire interior of the home has been painted in addition to all new carpets upstairs and in the basement. On the main floor, there are all new hardwood floors. All new light fixtures have been added throughout the house. The home has been power washed and a new screen for the porch has been added. In 2012, a new HVAC was added.